FEBRUARY 11--Meet Chad Hacker and James Schwartz. The two Cincinnati men were arrested yesterday after they allegedly dumped a bucket filled with vomit and feces on a 20-year-old woman. Hacker and Schwartz, both 23, were hit with misdemeanor assault charges following the bizarre incident, which occurred Sunday at about 1:30 AM in Hacker's residence. 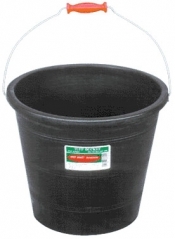 A criminal complaint filed against Hacker does not indicate what triggered the alleged attack (or, for that matter, the source of the bucket's vile contents).